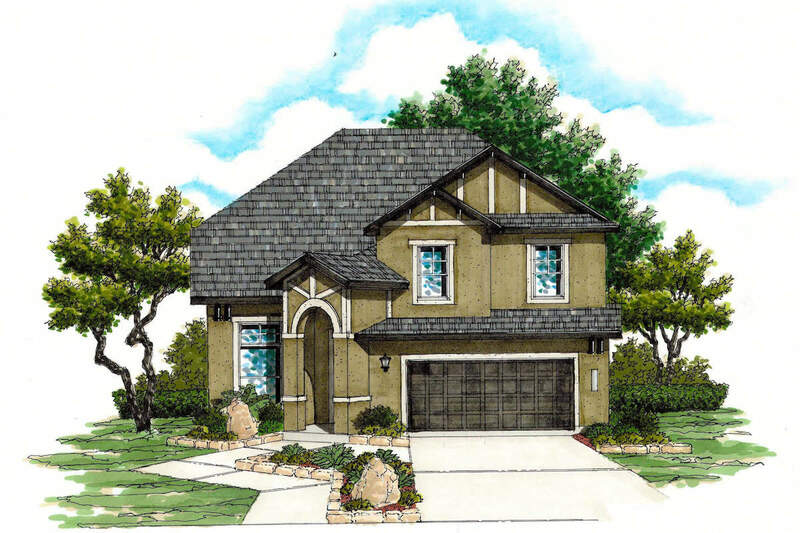 The 2490 plan features a grand 2 story entrance and dining room. The 3-4 bedroom, 2.5 bath floorplan opens up into a large kitchen with center island, breakfast area and family room. The master bedroom has an elegant tray ceiling and adjoining master bath features a dual vanity, separate shower, soaker tub and extra large walk-in closet. A large game room separates the master suite from the secondary bedrooms and bath.